Angels fans were promised a "big splash" by General Manager Tony Reagins and, dammit, he delivered. By now, thousands of words have been written about the Angels decision to send Mike Napoli and Juan Rivera to Toronto for Vernon Wells and his bloated $80+ million contract. The trade, as you should know, has been universally crushed from the Angels point of view except for the frighteningly optimistic James of True Grich. As the resident Angels fan, I feel obligated to post something about the trade even though I don't think I have much to add. I'd love to be optimistic and I do like Wells but I'm afraid advanced metrics and the Internet have ruined by ability to be a "die hard" fan anymore. It's almost sad in a way. The starved for offense Angels traded for a center fielder who hit 31 home runs, 44 doubles and a .273/.331/.515 line in 2010. Twelve-year-old me would have been ecstatic about this trade. Instead, I immediately began trying to figure out how much of Wells' contract Toronto would have to eat for the deal to make sense. If they ate $30M + the $10M or so saved from Rivera and Napoli, then Wells would just have to be a 2.5 WAR player each of the four years of the remaining contract. That is providing Wells will move to a corner outfield spot and not cost the Angels runs by playing center. That was my rough estimate anyway. Of course, the Blue Jays only sent $5 million back to Anaheim and the trade looks like a financial disaster for the Angels. But as a fan, I kept digging through Fangraphs and scouring Twitter to find a silver lining. Much like quicksand though, the harder I tried, the worse it got. I could ramble on about his splits or declining defense or what $75 million could have bought but it's all rather depressing. It's hard to imagine this is the same Tony Reagins who orchestrated the heist of Dan Haren last season. But what's done is done now. No amount of analysis or whining will reverse this deal. Unless you have a time machine, do you have a time machine? No? Well, then, all Angels fans can do is continue to support the team and root for Wells to prove the pundits wrong or at least less wrong. That hasn't exactly worked with that Gary Matthews Jr signing but at least the Angels are only paying him $10 million for one more season. The Mike Trout era can't get here fast enough. If you put aside the money, the Wells trade was a great improvement for the Angels. It seems that the only criticisms of the Angel's side of the deal revolve around the cost, or Well's "decline". If Arte Moreno can afford an even higher payroll, the money issue goes out the window. If Wells hitting against southpaws goes up again, as it did last year, and as he has done in the past, then he remains an even better upgrade. Further, this is 4 years, not 6 or 7. 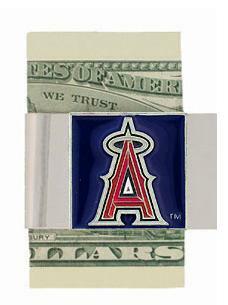 By the way, just what do you think the Angels could have gotten for that money? (Not what someone else got). Certainly not Crawford or Beltre. A bidding war would have driven the price even higher, and they still could have wanted to go elsewhere. So who else is that good, who actually might come over for just the money and two not-too-good players? I have a time machine, but it takes you back to the late 1990s and early 2000s when the Angels weren't relevant. By the way, thanks MTD for the interesting article. I was also wondering why so many people call it "the Mike Trout era". One player won't make that much of a difference unless he's on a good team, so let's all hope Trout pans out and stays healthy, and that the Angels continue to improve. And if there's any way for you to explain specifically which Advanced Metrics you're using, and what Well's are, I'd appreciate it, since that's not so easy to locate. Also, how do Wells' compare to, say, Napoli's? It would make another interesting article. which I will certainly read! DesertHome17 - You can't take the money out of this equation. It was an awful contract from the day Wells signed it. Wells would have to be a 4.5 WAR player each year to justify that deal. I doubt he tops 2.5 in any of the next 4 years. He was a 4 WAR guy this past season because of the huge power spike in Toronto. His home/road splits are a nightmare and, despite what you believe, he can't hit lefties. The Angels didn't HAVE to burn that cash. They don't operate with an unlimited budget. Napoli has been a better hitter than Wells for the past 3 seasons and will continue to be so going forward. The fact that Scioscia didn't want to play him wasn't Napoli's fault. Now the Angels are left with Mathis, who is one of the worst players in the major leagues, and Hank Conger who has similar defensive deficiencies as Napoli. Do you think Scioscia will give Conger the nod when he wouldn't give it to Napoli (who crushes lefties)? I hope so but wouldn't count on it. The deal was made out of desperation and if they play Wells in center instead of left, it will be an even bigger disaster. Gary - I'd love for your time machine to take me back to the early 2000s when the Angels won the World Series in 2002. That counts as relevant, right? DesertHome17 - Thank you for the feedback. The reason I think a lot of us are calling it the "Mike Trout era" is because he is a special talent who a team can build around. Plus plus speed, plus glove in center, plus bat with budding power. The Angels have done a nice job restocking their system and have some other nice pieces coming up (Jean Segura, Hank Conger) as the major league team is getting older. As far as the advanced metrics, I rely heavily on the data from Fangraphs but you can't go wrong with Baseball Reference either. I'll try to get a post up tomorrow comparing what the Angels are losing in Napoli to what they're gaining in Wells. Keep checking in and leaving comments. All feedback/questions/criticism is welcomed and appreciated. My time machine takes me back to game six of the 2009 ALCS.